It’s Spring time and apart from flowers and the hope of warmer weather that means it’s running season. 1. Don’t push through pain – Knee pain/heel pain etc often presents at this time and coincides with those big training runs. Often caused by lack of stretch or muscle strength imbalance. So………. 2. Don’t be afraid to back off a bit. Most people new to longer distances are encouraged to do 20miles training. This is purely to get you used to the time it takes. You’ve been training for weeks, that base isn’t going anywhere. Have a rest, ice the pain if there is any, reduce runs to shorter distances at slightly faster speeds and……..
3. Streeeeeeeetch! In therapy circles stretching is considered a bit old school. Phooey, it works. Really focus on quads, calves/soleus, hamstrings and most importantly glutes. Google how to stretch each and do it for 30secs EVERY DAY. 4. Chill out a bit. Believe it or not you’re gonna be fine, pre marathon nerves are normal. If you’ve trained you’ll be fine, there will be literally thousands of people with you. Ok you might not be threatening the leaders but is that why you signed up? Good luck to all you running types, i’ll stick to pole vault thanks! So my chosen team – the craggy island youth team have been tearing up the competition season. The big national finals are looming in Edinburgh at the end of April. Here’s hoping they all qualify, i’ll be cheering. So in recent months I have worked with the nurses at Teddington walk in centre and West Middlesex urgent care centre to introduce kinesiology taping to their patients. Now the NHS is a wonderful thing but in my view, we manage relatively minor musculoskeletal injury very poorly. The advice is a bit weak if there isn’t a bone fracture (“pop some ice on it” – heard that before?). I introduced taping as it is a really practical, quick and cheap way of just giving our patient’s some proper after care within a time pressured consultation. Anecdotally the results are great, i’ll audit properly in time but not all are convinced. Another Central London trust have refused to entertain the prospect of incorporating taping as there is no “evidence base”. This is true but then there is no evidence base for giving people a little reassurance- it feels good for them and it feels like us medical types have taken a little care. I’ll perhaps revisit this topic in time. Seperately, the pocket rocket aka my son, has been climbing his way round Britain. Good lord I haven’t posted for months. A few words over my morning coffee before I run around organising the kids. I have been super busy lately with a really great variety of patients. You can’t please everyone but generally the feedback has been great. The main thrust of goodwill has been the issue of pain and my attitude towards it. Sports massage can be painful, this is partly physiological and partly psychological. For me this issue is very important amongst physical therapists particularly soft tissue therapists. There is nothing more frustrating when I see a new patient who has already been treated elsewhere and is covered in bruises. I’m sorry but causing a patient to bleed is just stupid and demonstrates a lack of attention by the therapist to their patient. I’m not saying that I am delicate in my approach but I do pay attention and I know when my patient is finding it a bit too much. I personally always allow a bit more time so that we can work a bit slower, it reduces my immediate income but I do get retention. Medical/allied medical consultations are a collaborative business (a few doctors could take note) not a dictatorial one. A bit more communication and knowing your business a bit better gets a better result for patient and therapist alike. I’ll step off my soapbox now! The craggy island kids have been putting up a great show in recent months with strong performances at the regional rounds and national finals. They are awesome to watch truly. No.1 customer Rhys has been exploring the great outdoors recently with some high climbs in Dorset. I am back into the pole vault swing with some acceptable early season results, we’ll see how we go, a quiet year really with a tilt at the Euro champs next year. So it’s been an eventful year and I am really looking forward to 2016. I am particularly looking forward to watching my chosen sponsored team from Craggy Island Climbing in the New year as they aim for more success. I am closed now until new years eve but am available for bookings for January. So, a topic close to my heart this one. Today I started treatment on a 9 year old girl with patello femoral pain. The said child is one of several I have treated recently as well as countless similar patients I see at an NHS walk in centre. It encouraged me to reflect on the modern child. Unlike the screechy media I don’t truly believe that children are quite so sedentary as feared (nutrition is a whoooole different thing though). However, anecdotally at least, I perceive children to participate in structured sport much earlier. My son (in the picture) is in the climbing team at Craggy Island (more on them later), he plays hockey for woking, does Judo once a week and comes pole vaulting periodically. He also used to do gymnastics and football and ski’s well. Ask yourself this: what specific sports did you do under the age of 10? He also goes to cubs and is often happiest just stomping around in the woods. My point is this; my generation all did sport but most of us started a bit later in terms of the structured movements required to do well. As a consequence I would suggest that our injuries also presented at an older age. I am not for a moment suggesting that lots of sport is a bad thing but I do believe that to prevent our kids having recurrent injuries (and then stopping sport) we need to follow a few simple rules. 1. Mix it up- only participating in one sport is a recipe for an injured and therefore disappointed child. If your child loves their team ball sport encourage a weekly session in a less ballistic environment – martial arts for example. 2. Skills! – sports for children should focus on skills and not specific strength (that comes anyway). Rhys’ climbing team only do climbing, there’s no chin ups, no press ups etc. Not only are they consistently one of the best teams around, the kids are hardly ever injured. 3. Streeeeeetching! I had a great grounding in athletics as a teen where we truly learnt stretching and mobility and injury prevention. We need to teach our active kids this how to prepare. It is very important and i’m sorry but you can’t say “oh they’re only little ones, they don’t need to do all that” and be surprised if they get injuries doing big kids sport. 4. Rest sometimes. In all sports rest is every bit as important as training (mentally also). Us parents need to take charge sometimes and enforce a rest. Our little ones will be better for it. 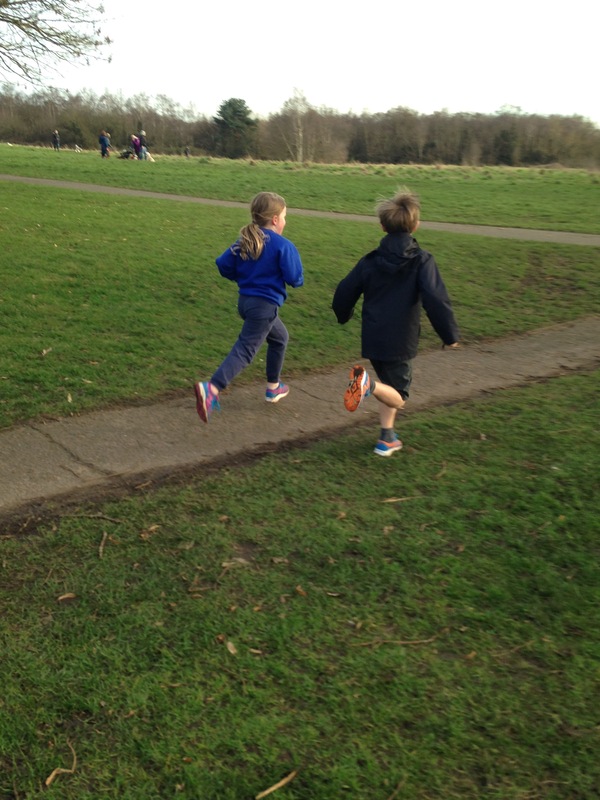 I love sport, my kids love sport, I intend to teach them some good habits early so they can always enjoy it. 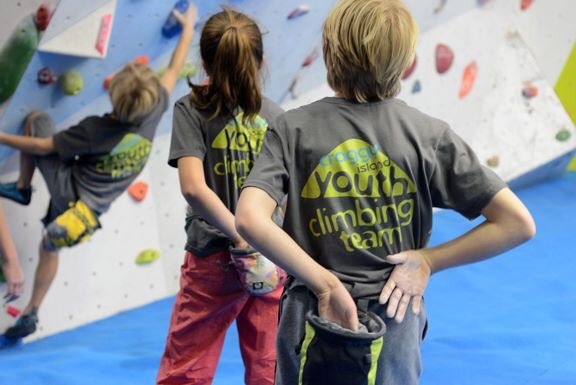 Congratulations to Rhys who came first in the first round of Blokfest (see previous post) and all the craggy island youth team who have started the Winter indoor season with a bang with some great results. Keep up the good work kids, parents and coaches! Firstly – many congratulations to the Great Britain team in Doha at the IPC World championships. Dedication to sport and self fulfillment that makes me want to bow and scrape. 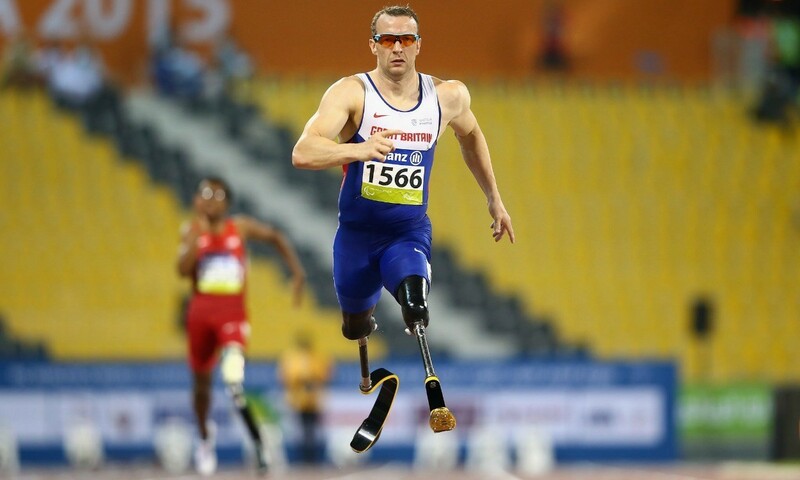 the image is of Richard Whitehead – world 200m record holder and in my eyes the obvious choice for BBC Sports Personality of the Year. As mentioned on my Facebook page – the Winter draws nearer and that inevitably means I will be busy treating runners who have an eye on the Winter and Spring road running season. If I were to offer advice to all those planning 10k up to marathon it would be train smart instead of heavy and USE A THERAPIST! Frankly it’s cheaper to prevent injury after all. 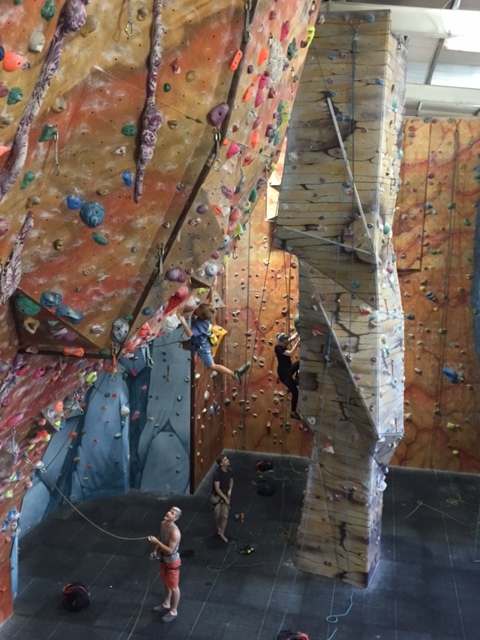 Other important things include the start of the indoor climbing competition season for No.1 Son. 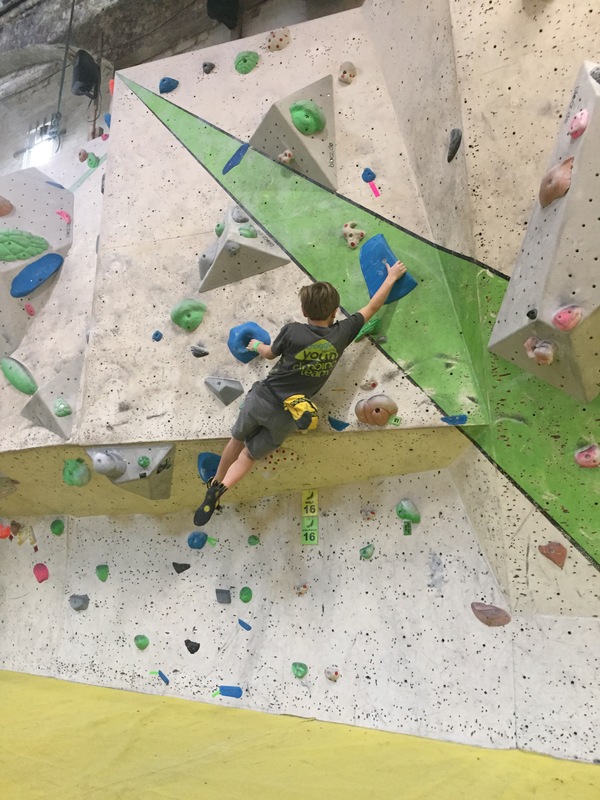 Blokfest (a series of Indoor Bouldering festivals) starts this week and I will be working hard to protect his developing body (more about childhood injuries in future). On the Climbing bent – I will be at Rhys’ training base on Monday 16th Nov offering a free sports injury Q&A from 6-9pm. I look forward to seeing you there – if you can’t make it down message me on my facebook page Gcsportinjury and i’ll do my best. Happy training – remember to train smart! Firstly – I have new weekly premises in Horsell village – find me behind Poppies and Peonies flower shop in the high street, look for the sign. Also I am now offering appointments on Sunday mornings at Woking Hockey club – my humble thanks to them. This is by appointment only please, I am occasionally away at tournaments. This also adds to the usual portfolio of home appointments if neither of those venues or times suit. On other business – I have been seeing lots of runners with painful knees (outside knees). These have almost all been Ilio-Tibial band friction syndrome, easily resolved but preventable. If you are getting pain mid way through your run, ice lots and seriously attend to the flexibility of your hips and gluteals. Other interesting business is I am treating a couple of climbing coaches with elbow pathology at the moment. These have proved complex and so I am studying at the moment. I would welcome contact from anyone with a history of hand numbness in the mornings or weak grip strength – you may have Cubittal Tunnel Syndrome and I want to explore non surgical treatments. 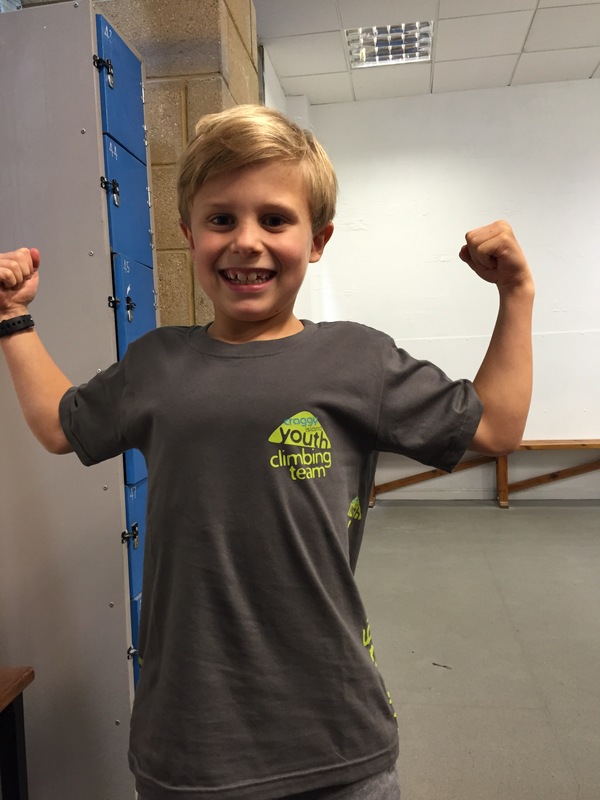 On to lighter business – Autumn brings with it the Indoor climbing competition season – No.1 client Rhys (my awesome spider man son) is due to compete in early November at the briliant Blokfest series. I’ll let you know how it goes.